I have not blogged for some time and I apologize as the past few weeks have brought about a some tragic events and drastic happenings in my life. I will return soon to blog about the happenings in the ID movement from those weeks (which were a lot). But for now, I felt it necessary to remember Dr. Henry Morris, Ph.D. (see picture above). 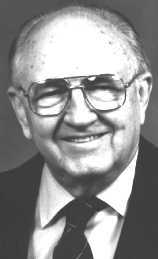 Dr. Henry Morris, the first to pose a challenge to Darwinian evolution, died on Saturday, February 25, 2006. Morris was the founder of the Institute for Creation Research (ICR) and while he often disagreed with the intelligent design movement, all critics of evolution should thank Morris for his work in pointing out flaws with Darwin's theory in an era when most accepted the theory as good science. Morris was also a professor of engineering at Virginia Tech University for some time. In memory of Dr. Morris, I hope that the evolution movement meets it's inevitable demise soon. Voice of America's Youth and Campus featured a debate today on intelligent design and whether or not it should be taught in schools. Since the broadcast in VOA's Asian sector, the entire debate was done in the Chinese language. I had the honor of representing the intelligent design side of the debate with Dr. Guang Guo, Ph.D., Professor of Sociology at the University of North Carolina represented the evolution side of the debate. 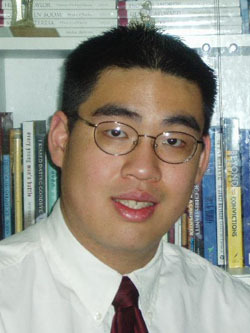 Dr. Guo presented the traditional evolutionist argument that intelligent design was a religion and not a science. He proceeded to discuss the recent trial involving the Dover Area School District, referring to the Dover as being a somewhat behind, farming district. Of course, it was this somewhat behind district that elected a new panel of evolutionists to it's school board. The surprising aspect was the number of callers from China (a communist regime) who subscribed to intelligent design theory. Most of these callers, upon declaring their support for my position, were cut off for one reason or another. This shows that even a communist nation has more academic freedom on this issue of intelligent design and evolution than does the "democratic" United States.